Facebook’s new headquarters in California is under construction and in desperate need for an artist touch. The art of, Miami native, Jen Stark is sure to add that artist inspiration to the everyday workplace. 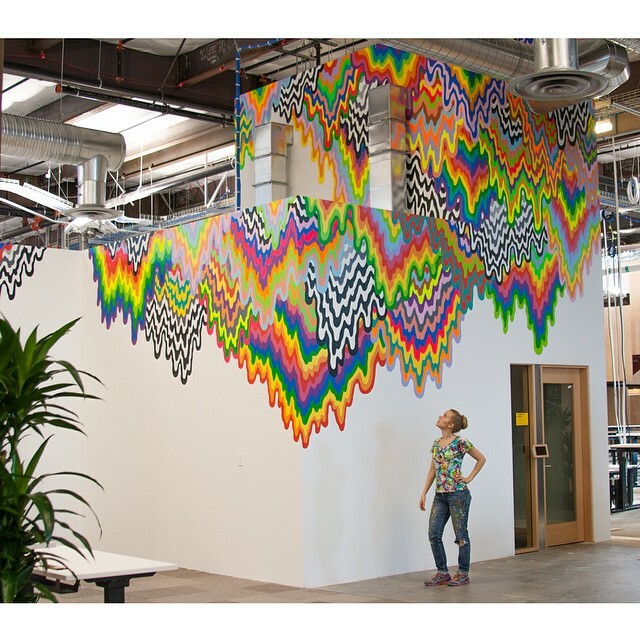 Jen Stark’s current series of oozing colors of the rainbow, will be part be permanent display, as a 20 foot mural in Facebook’s new headquarters. If you can’t travel to California to see it, not to worry. Her colorful dripping rainbow series can also be seen at the Miami International Airport and the Fort Lauderdale Art Museum. Learn more about Jen Stark in a past article from Art of Miami.